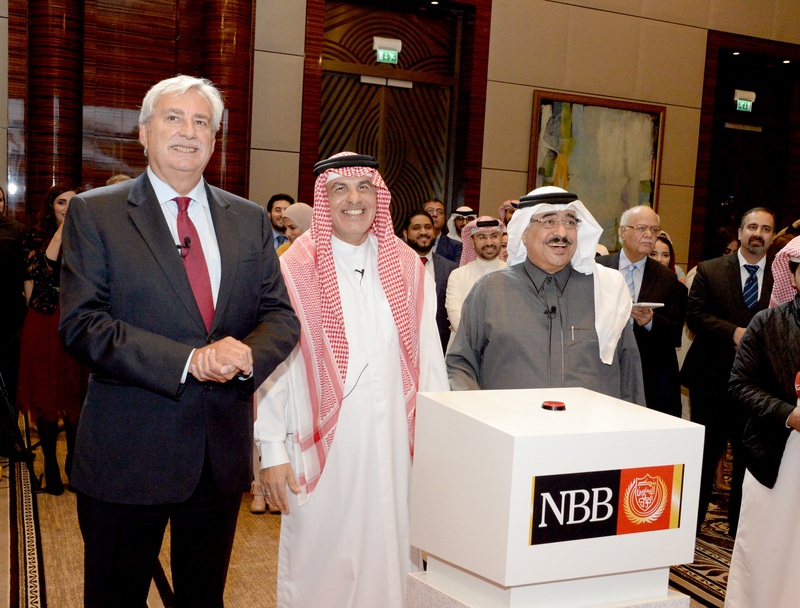 National Bank of Bahrain (NBB) announced the much-anticipated winner of its Al Watani Savings Scheme “Dream Prize” for the 2018 campaign comprising of a luxury villa at the prestigious Riffa Views, a Porsche SUV and US$1,000,000. The winner of the path-breaking Scheme rewarding customers that save went to Mr. Abdulhadi Ebrahim Mohamed Sultan. The Dream Prize was awarded in an exciting ceremony held at the Four Seasons Bahrain Bay and attended by the winner’s family, NBB’s CEO, Mr. Jean Christophe Durand, the Bank’s Chief Executive – Retail, Commercial & SMEs, Mr. Abdul Aziz Al Ahmed, members of the Bank’s senior management and branches in addition to the media. Since its inception, the Al Watani Savings Scheme has offered more than US$19 million in prizes alone. The Al Watani Savings Scheme aims to reward the Bank’s customers for their loyalty and encourage the habit of savings within the community. To realise these goals, the Scheme’s prizes were well-received among customers, who look forward to these chances to win and achieve their financial dreams and aspirations. To continue extending these rewards to an even greater number of customers, the Scheme gets revamped each year with customers now anticipating the re-launch of the Al Watani Savings Scheme promotion for 2019. Mr. Abdul Aziz Al Ahmed also extended his thanks to all the Bank’s customers for their tremendous support and patronage. He also wished other customers who did not get the chance to win luck in next year’s Scheme. The stage is now set for the launch of the 2019 Al Watani Savings Programme, which will now build on the success and excitement of the past years. Next articleThe New Season of Jaguar Experience Bahrain Kicks-off at BIC!